Ukraine is holding a presidential election on Sunday March 31, 2019. The vote and its aftermath will shape the future path of a key NATO and U.S. partner in Europe. The Institute for the Study of War's research team focusing on Ukraine and Russia will be providing analysis during the election and its aftermath. This page will be updated continuously. For press inquiries and questions, please contact press@understandingwar.org. "...[Volodymyr Zelensky's] lack of known political positions will likely present an opportunity for both domestic oligarchs and the Kremlin to influence the domestic and foreign policies of Ukraine. 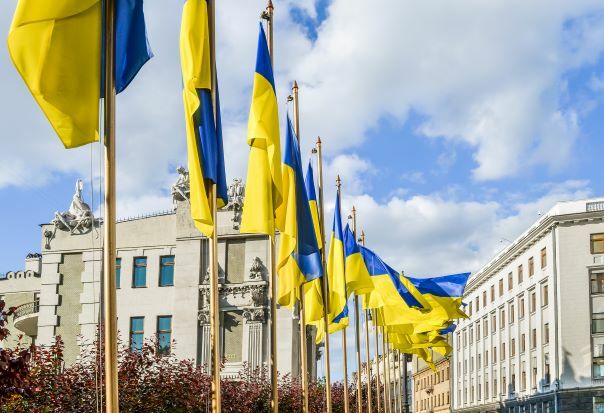 Ukrainian reformers must compete for influence over both Zelensky and the Ukrainian Parliament in order to protect Ukraine’s reform gains and overall trajectory towards the West." Read the complete update by Andrea Snyder and Darina Regio here. "The Kremlin and its political allies in Ukraine intensified their rhetorical support for the leading candidate in the 2019 Ukrainian Presidential Elections. The Kremlin likely intends to soften its domestic narrative towards Ukraine if comedian-turned-politician Volodymyr Zelensky wins the Ukrainian Presidency...Pro-Russian political actors in Ukraine including allies of [former President Victor] Yanukovych, who fled Kyiv after the 2014 Euromaidan Revolution, are likely attempting to rally support for Zelensky in order to regain political influence and exact revenge against the post-Euromaidan Government of Ukraine." Read the complete update by Andrea Snyder and Nataliya Bugayova and Darina Regio here. Following the first round of voting, "The Kremlin failed to undermine trust in the electoral process in Ukraine but is nonetheless on trajectory to gain ground in the 2019 Ukrainian Presidential Election." Read the complete assessment by Nataliya Bugayova and Darina Regio here. "The Kremlin will likely attempt to leverage local players to fuel discontent and undermine the election results in the event of a victory by Poroshenko. The Kremlin may attempt to leverage the activities of the far-right Ukrainian National Corps Party, a nationalist group that opposes the accession of Ukraine to the EU and NATO as well as involvement by Russia in Ukraine." Read the complete assessment by Nataliya Bugayova, Darina Regio and Andrea Snyder with Michaela Walker here. "Current Ukrainian President Petro Poroshenko is the candidate most aligned with the West but his popular support has slipped due to his inability to deliver on key anti-corruption reforms as well as a sustained disinformation campaign by Russia. If Poroshenko wins the election, it will likely only be by a slim margin and his political bloc still stands to lose seats in the subsequent parliamentary elections. His opponents, by contrast, are populists willing to offer concessions to the Kremlin or politicians openly favorable towards Russia and Russian President Vladimir Putin." Read the complete assessment by Andrea Snyder here. "Russia launched a major information campaign to restore its diminished political influence in Ukraine after the 2004 Orange Revolution. This campaign evolved into a decade-long effort to inflame domestic grievances and fuel popular sentiments against the West and the central government in Kyiv. The Kremlin would tap into this groundwork to launch its subversion campaign in Eastern Ukraine in 2014." Read the report by Nataliya Bugayova here.